Lenovo ZUK Z2 Rio Specifications, Price, Features, Release Date: Lenovo is ready with a silent special Olympic edition of ZUK Z 2 smartphone, which was earlier unveiled in 2016. This particular edition of the smartphone is also known as ‘Lenovo ZUK Z2Rio 2016 Edition’ as unveiled on the occasion of Rio Olympics 2016. It has almost similar specifications as per that of the standard Lenovo Z2 which was launched in May this year. 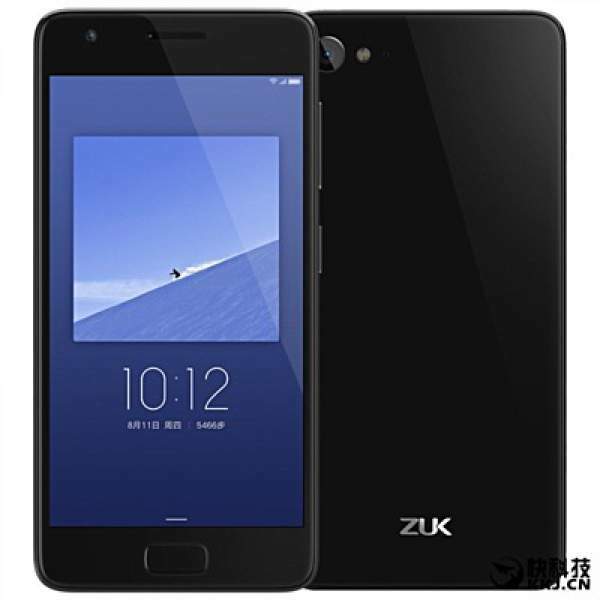 The Rio Z2 is a bit lower model of the original ZUK Z2. The device has 3 GB of RAM and 32 GB of internal memory which can extend via memory card. The standard Z2 was holding 4 GB of RAM and 64 GB of internal memory. The ZUK Z2Rio Edition offers a 5-inch (1920 x 1080p) full HD Low Temperature Poly-Silicon (LTPS) 2.5D curved glass display. The company is powering the device by a 2.15 GHz quad-core Snapdragon 820 processor and Adreno 530 GPU. This unique device runs on Android 6.0 Marshmallow operating system with ZUI 2.0. The smartphone is powered by a 3,500 mAh battery with Qualcomm Quick Charge 3.0 technology. This quick charge technology can charge the device up to 80% in just a single hour. As per the now-a-day technology, this device also features a fingerprint sensor on the home button. This fingerprint is also special as the company is promising to unlock the device in 0.1 seconds. The dimensions of the device are 141.65 x 68.88 x 8.45 mm and weighs about 149 gm. This device has a 13-megapixels shooter on the back with LED flashlight and f/2.2 aperture. On the front, there is an 8-megapixels f/2.0, 78.9-degree wide viewing selfie camera. The smartphone offers Dual SIM, 4G LTE with VoLTE, WiFi, Bluetooth, GPS, and USB type C.
Being the special Olympic Edition, Lenovo is making it special by adding special content like the Rio 2016 Olympics-themed wallpapers and themes. The device will be available for purchase in the Asian countries from 2 August. The ZUK Z2 is currently available in China for the pre-orders. The original cost of the device is RMB 1,599 ($240), although there’s a currently discount of RMB 99 on the pre-order. The discounted price is set to be RMB 1500 ($225 or Rs. 15,108) in China. The smartphone comes with black and white color variants. The price of the device in India is expected to be around Rs. 15,000.